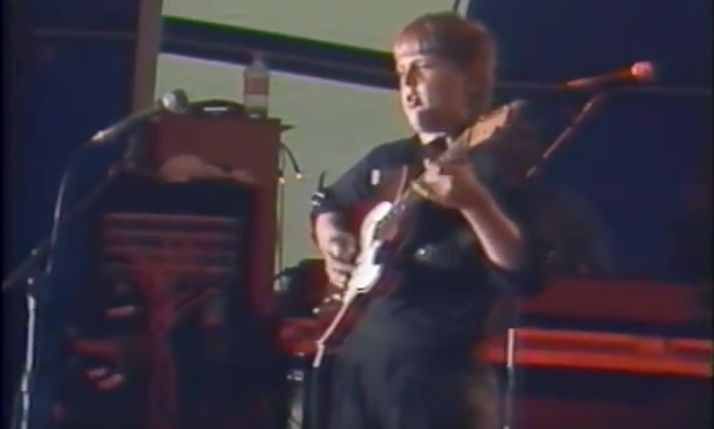 In 1989, Joe Bonamassa played over 20 shows with Blues guitar legend B.B. King. Booked as King’s opening act, it was an amazing early opertunity for the young player, and in the footage below you can see him in action at one of those performances. Billed as Smokin’ Joe Bonamassa, he had already been doing reasonably well at making a name for himself in clubs in places like Buffalo and Scranton, PA, but only playing on weekends; as his mother wouldn’t let me play on school-nights. However when he was asked, “Do you want to open for BB King?” Lucky for him and for us his mum gave it the ok, even if he did had school the next day.